Robert’s interest in financial matters started at a young age. His parents joked that he was trying to carry a briefcase at 5 years of age. As far back as junior high he enrolled in a business bookkeeping class where a hypothetical company and books were kept. By the end of the class his company and team were on top with the best profit results. In 1978 working for the old Pacific Telephone, Robert was responsible for preparing and balancing the daily bank deposits for all of the incoming payments of the company. In 1983 at the urging of his mentor Bill Slattery, Robert obtained his California certification to prepare tax returns. While Robert worked for Bill Slattery on a limited basis during 1983 to 1985, on November 23rd 1983 he founded Robert Downing Tax Service. At the urging of Bill Slattery and his other mentor Lee Reams from Independent Preparer services, Robert continued moving toward the certification of Enrolled to Practice before the Internal Revenue Service. In 1986 Robert sat for the two day Treasury Department exam and passed it. In 1987 Robert was awarded his Enrollment card. In 1987 Robert also changed the business name to Downing Tax & Financial Service. 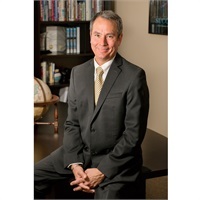 In 1995 Robert through his affiliation with HD Vest Investment ServicesSM, added Financial Services to the growing menu of services that the business offered. In 1999 Robert was blessed enough to be able to buy his mentor, Bill Slattery’s tax business and add it to his own. Robert currently holds a series 6 & 63 Investment Company Rep, a series 7 General Securities Rep, and a series 65 Registered Investment Advisor. Robert also holds a California Insurance License for life and variable contracts. In addition, Robert has a Masters of Science in Financial Services. He is also a Certified Senior Advisor, Certified Fund Specialist, Certified Estate and Trust Specialist, Certified Income Specialist and Certified Annuity Specialist. Robert is also a field leader for the Los Angeles Chapter of HD Vest regional chapter program. Robert gives educational seminars to other securities representatives from HD Vest. He has been a dedicated field leader for over 10 years now. Robert is also a certified field advisor and helps other HD Vest representatives find the best strategies for their clients. Robert is active in his community via his Church as well as local Food Pantry. He loves animals of all kinds but especially his own dog and cat. He is an avid runner completing 1 full marathon, several ½ marathons and more 5K races than he can remember. He enjoys bicycle riding as well.